For any residential cleaning you may need in Vancouver, your first choice should be First Choice Janitorial Services. For residential janitorial services in Vancouver, WA, we specialize in a wide variety of options, including homes and cottages, manufactured housing, apartments, condominiums, and lofts. Get your home sparkling again! Our friendly and knowledgeable staff has extensive experience in many different cleaning methods. We offer a wide range of cleaning services as well, from basics such as carpet cleaning to more involved projects like refinishing hardwood. We also offer janitorial service for walls, ceilings, windows, bathrooms, and kitchens. No matter the job, we can perform at a high level and guarantee your satisfaction. Non-Toxic Chemicals & Green Cleaners Always Available! Our service includes an initial deep cleaning that covers carpets, windows, furniture, floors, bathrooms, kitchens, walls, and ceilings. Depending on your personal needs, we may not need to cover every aspect. Our staff will work with you to determine what the best course of action is for your home. Our goal is to provide service that meets and exceeds your expectations, leaving you more than satisfied with the finished product. We can even set a recurring schedule for your home. These schedules can be flexible, or follow a routine, be it daily, weekly, bi-weekly, or monthly. No matter the choice, we can guarantee your home will always be cleaned effectively and efficiently, keeping it more than presentable and helping it retain its value. We can clean your place before or after a move as well, leaving it fit for the next family, or getting you off to a great start in a new home. When it comes to cleaning, it may be difficult to get everything done that you want to get done if you are also working a full-time job and keeping up with social obligations. The cleaning you do get done may be rushed as well, leaving you with something that can be improved upon. Our highly trained staff has plenty of time to give you the best service available and will ensure your home is cleaned thoroughly. If you need a residential cleaning service to help you with cleaning your home, give First Choice Janitorial Service in Vancouver, WA a call right away. We will come out to your home and work with you to determine what your needs will be, then get right to work. Call us today! 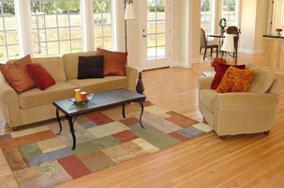 Problem: Wine or other staining liquid is spilled on furniture or carpet. Tip: Soak up with clean cloth as much as possible. Don’t use any cleaning solution or water to try to clean, as it will set the stain into the fabric and make it very difficult to completely clean. Let us know about problems and we’ll clean the stained area with our professional extraction system.